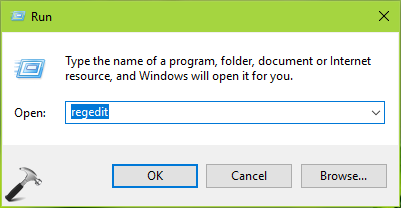 Run dialog is easiest way to execute commands, open file/folders in Windows. See this guide to learn how to delete Run history in Windows 10/8/7. For some anonymous reason, if you want to delete this Run history, this article is for you. See, there is no direct setting in Windows 10 which allow you to erase Run history. In Windows 7 and 8/8.1, you may clear the jump lists via Taskbar and Navigation Properties, which is also somehow difficult to follow. So here is the quick and easy solution to delete Run history via simple registry manipulation. 3. In the right pane of RunMRU registry key, delete all the registry strings (REG_SZ) except (Default). For each of these strings, you’ll receive following confirmation prompt in which you’ve to select Yes, every time. Once you’re done, close Registry Editor. You can now press + R keys to open Run. Click on the drop down and you’ll find that command history is finally erased. Related: How to clear address bar history for File Explorer in Windows 10.